If you are wondering where the big introductory press conference for Miguel Alfredo Gonzalez is or when it is coming, it may be wise to not hold your breath. 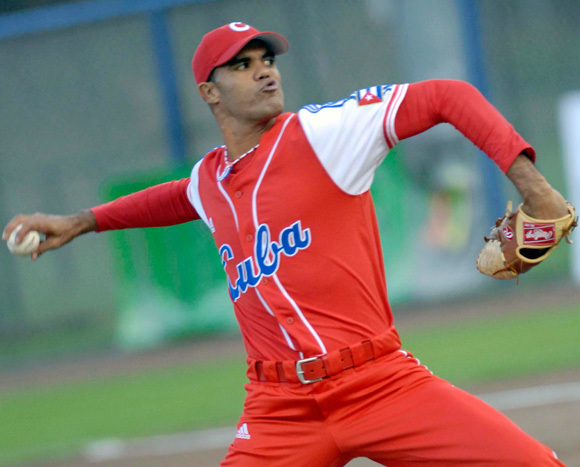 According to Todd Zolecki, the Phillies and the Cuban righty may have “hit a snag” in the process of bringing Gonzalez to Philadelphia. Even if the deal does not go through, there are many positives to take from this: the Phillies have become much more aggressive in the international market, signing slugging German teenager Julsan Kamara and are the favorite to sign 15-year old Dominican third baseman Luis Encarnacion according to MLB Trade Rumors. If this door closes for the Phillies, one assuredly opens for a player like Ethan Martin, who made his debut against the Braves last weekend, the recovering Adam Morgan, who pitched five strong innings last night for Lehigh Valley, or of course Jesse Biddle.